And this year it’s tinged Living Coral, Pantone’s colour of 2019. To celebrate nature’s rebirth, we’ve asked three visionary creatives to each create a personal interpretation of spring in Living Coral. 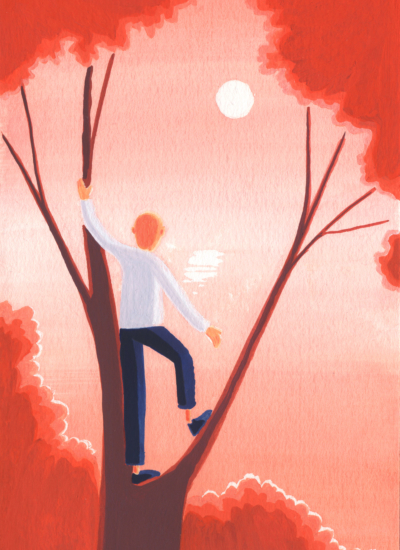 We begin with Daniel Frost, the British illustrator with a singular, fairy-tale style. 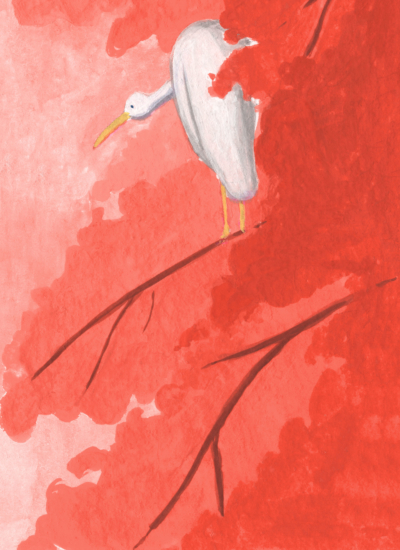 We asked Daniel to imagine his own personal spring decked out in shades of Living Coral. We had high expectations and Daniel didn’t disappoint. He imagined a journey of discovery complete with nature, sunsets and animals: a unique visual adventure. The result left us speechless. Most of my personal work I create is inspired by travel, exploration and observation and the magic that can be found in this. 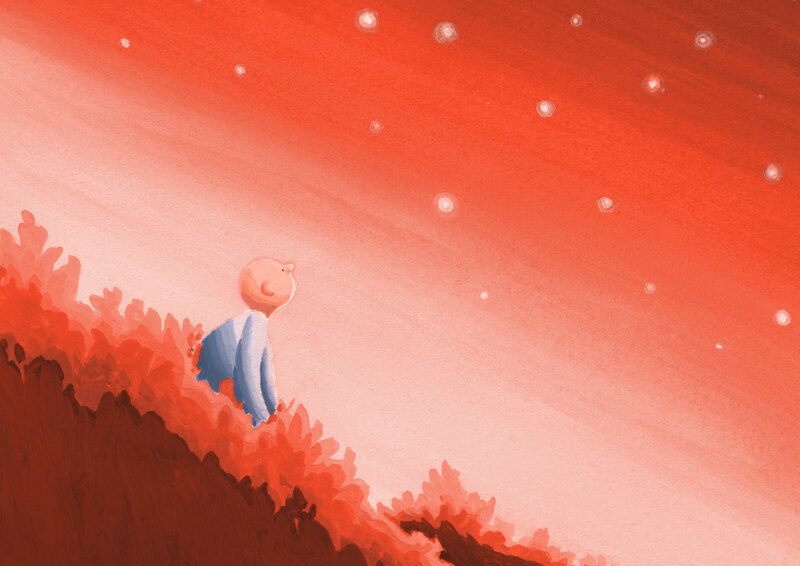 I wanted this feeling of exploring and finding something new to be the starting point for the Illustrations. 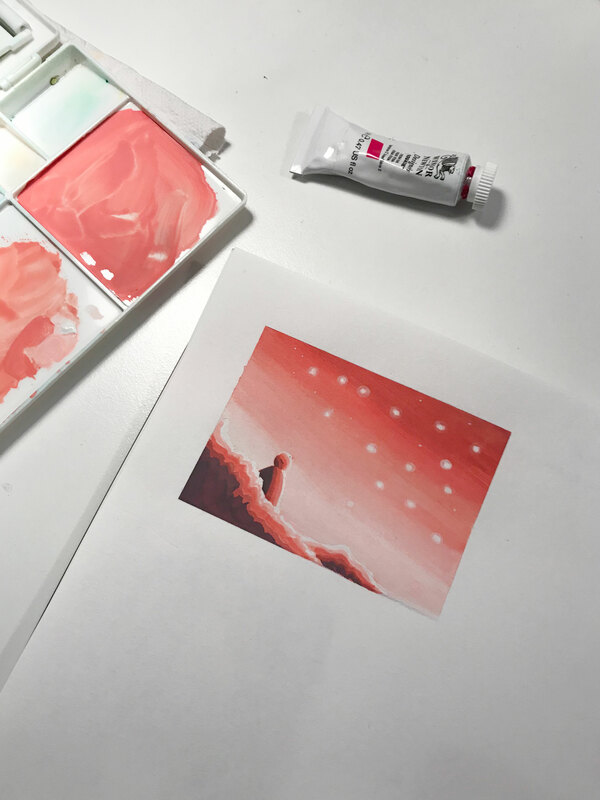 Also as the Pantone colour is called Living Coral colour, I thought it would be perfect to combine this idea of exploration with the natural world. 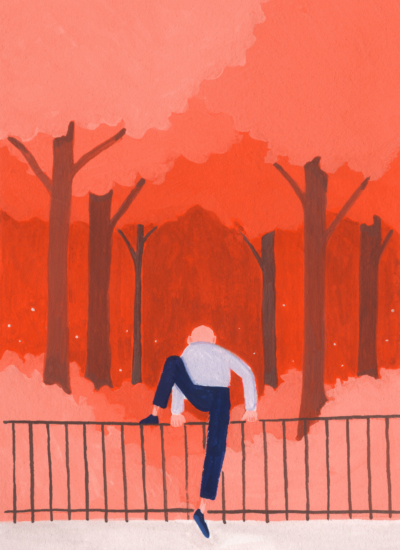 As this is a series of images, I thought that it could be interesting to create a loose narrative about a character exploring a forest, or some kind of natural landscape. One of my most favourite times of the day is twilight, when everything takes on a more pink/red tone and the landscape becomes a little more blurry giving it a more mysterious and magical feel. 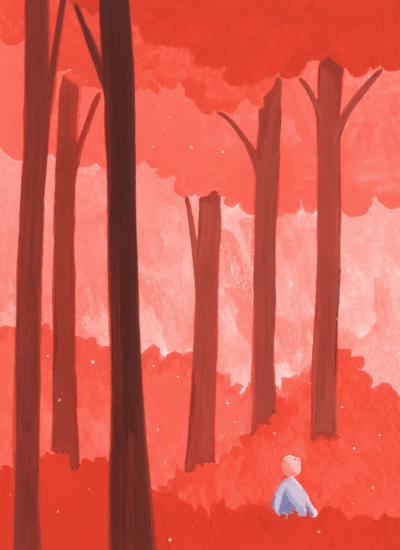 This is the feeling that I wanted to capture in these illustrations, to take people on this quite fantastical and magical journey through a landscape of pink and red. My name is Daniel Frost and I’m a British Illustrator and Author. Since graduating from the Royal Collage Of Art in London in 2008 I have worked as commercial Illustrator, working with a range of clients like Nike, New York Times and Transport for London on various kind of exciting projects such as animations, posters and Illustrations for magazines. 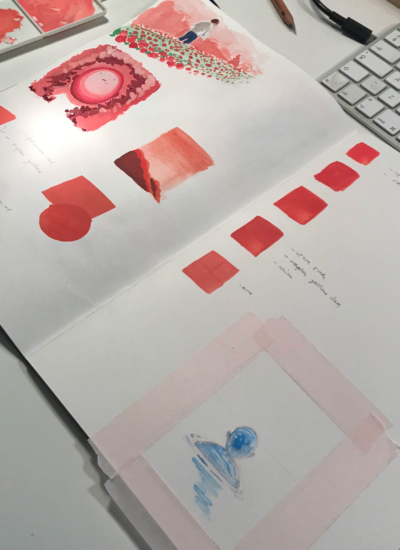 Alongside my commercial work I have always worked on my own personal projects, which have lead me to exhibit in galleries around the world and to have published books with some of the most renowned publishers, such as Penguin, Gestalten and Hato press. I have always been interested in Illustration. I think it all came from reading lots of picture books and comics when I was young, I especially love the books of Roald Dahl and the illustrations of Quentin Blake. Blake’s illustrations gave such a great energy and life to Dahl’s fantastic stories, they were a big inspiration to me growing up. As a kid I also enjoyed making stories and drawing. My Brothers and I would invent funny characters and scenarios and draw them, just for fun and to make each other laugh – it was great! I love the idea that you can create a universe and share it with people and as an Illustrator you are able to do this every day. My creative processes changes slightly from project to project as I love to challenge myself and test out new ideas and materials. 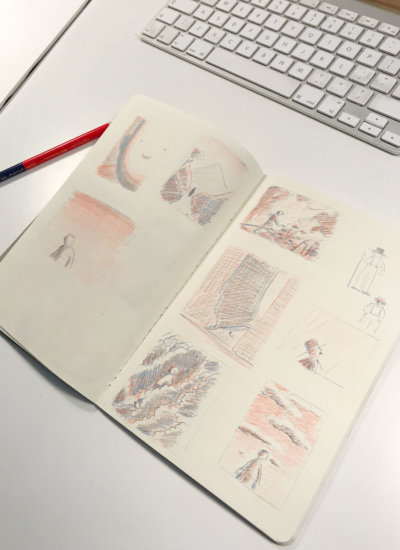 My process normally starts with a few rough pencil sketches, allowing me to work out the composition and the kind of image I would like to create. After that I begin the final which I will either draw or paint depending on the medium I’m working with. For painting I prefer to use gouache as the colours are very bold and intense. I really enjoy the process of Painting, especially the feel and texture, it is very mediative and intuitive.